Documentary overview of 2017 World Series. More than five decades into the team’s existence, the Houston Astros finally won a championship. We review this event in a documentary called 2017 World Series. The program mixes ballgame footage and interviews. In the latter vein, we hear from Astros owner Jim Crane, Astros GM Jeff Luhnow, Astros manager AJ Hinch, Astros President of Business Operations Reid Ryan, and players Justin Verlander, George Springer, Dallas Keuchel, Chris Taylor, Brian McCann, Justin Turner, Corey Seager, Lance McCullers Jr., Alex Bregman, Marwin Gonzalez, Jose Altuve, Charlie Morton, Alex Wood, Cody Bellinger, Carlos Correa, Yuli Gurriel, and Derek Fisher. Series skips the preliminaries and leaps straight to the start of the Fall Classic. It goes into details for all seven games that led to the Astros’ victory over the Los Angeles Dodgers. In general, athletes tend to be less than enthralling interview subjects. Some exceptions exist, of course, but the Bull Durham model holds true, so players often rely on banalities. That becomes the case here, as the various athletes and other personnel don’t give us much perspective about the events. Oh, they toss out some observations about the games, but they keep things fairly superficial, so we don’t feel like we gain true insight. Instead, Series attempts to goose the excitement level with a relentlessly urgent presentation. The documentary occasionally gives the viewer a breather, but it usually tosses elements out like the climax of an action movie. This gets tiresome before long. Granted, the 2017 World Series came with an unusually elevated level of drama – well, until the disappointing seventh game, at least – so it can fit a high-tension framework. That said, the documentary amps up the excitement to artificial levels, and this makes it something of a chore to watch. It doesn’t become a fatal flaw, but it lends an annoying air to the show. At its best, 2017 World Series gives us a competent summary of the games. However, it lacks the depth to become much more than a collection of highlights, one damaged by an overly dramatic presentation. It’s not a bad show but it could’ve been better. 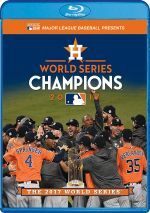 2017 World Series appears in an aspect ratio of approximately 1.78:1 on this Blu-ray Disc. The program came with erratic visuals. Sharpness tended to be the main issue, as those elements varied. At best, the shots came across with very nice delineation, but bouts of softness popped up – odd softness, too, as these mainly impacted the strangely soft interview sequences. Some ballgame images could be somewhat fuzzy as well. No notable issues with shimmering or jaggies appeared, and I saw no edge haloes. Source flaws didn’t become a factor. Series emphasized a natural palette, and the colors seemed largely full and true. Blacks were also fairly deep, and low-light shots demonstrated appropriate clarity. This wasn’t a bad presentation, but the softness created distractions. Though billed as a DTS-HD MA 5.1 soundtrack, I heard no audio that emanated from the rear speakers. This mix appeared to focus entirely on the three forward channels. In that realm, the information tended to favor music, which showed nice stereo spread. Otherwise, effects – which focused on ballgame action and cheering – seemed essentially monaural, as I didn’t detect obvious spread to the sides. Audio quality worked fine, with natural, concise speech. Music appeared vivid and dynamic, while effects felt accurate. The soundtrack lacked much oomph but it seemed competent. Five featurettes appear here, and these start with Houston Strong. It runs four minutes, 23 seconds and includes comments from Astros Guest Services Senior Director Michael Kenny, Houston Mayor Sylvester Turner, and Astros Business Operations President Reid Ryan. “Strong” looks at the impact of Hurricane Harvey on the town and the team. It lacks substance, as it doesn’t tell us much. During the four-minute, 54-second Regular Season Highlights, we see a collection of game clips. These show events like the Astros’ first run of the season and Justin Verlander’s team debut. It becomes a decent compilation. With How They Got There, we locate a two-minute, 48-second overview that looks at the important cogs in the Astros’ rise. It acts as little more than a superficial summary. Clinching Moments goes for 13 minutes, 19 seconds and shows the Astros’ division championship win as well as other prominent 2017 postseason moments. This turns into another watchable batch of segments. Finally, we find World Series Parade. This takes up two minutes, 26 seconds and displays snippets from the post-championship celebration. It’s more of a music video than anything else. 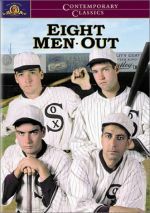 A second disc offers a DVD copy of Series. It includes the same extras as the Blu-ray. After a difficult year, Houston got to celebrate a championship from the Astros, a feat documented in 2017 World Series. The program offers a decent but somewhat superficial take on the games. The Blu-ray offers erratic picture as well as mediocre audio and minor supplements. This becomes a passable overview but it lacks a lot of substance.